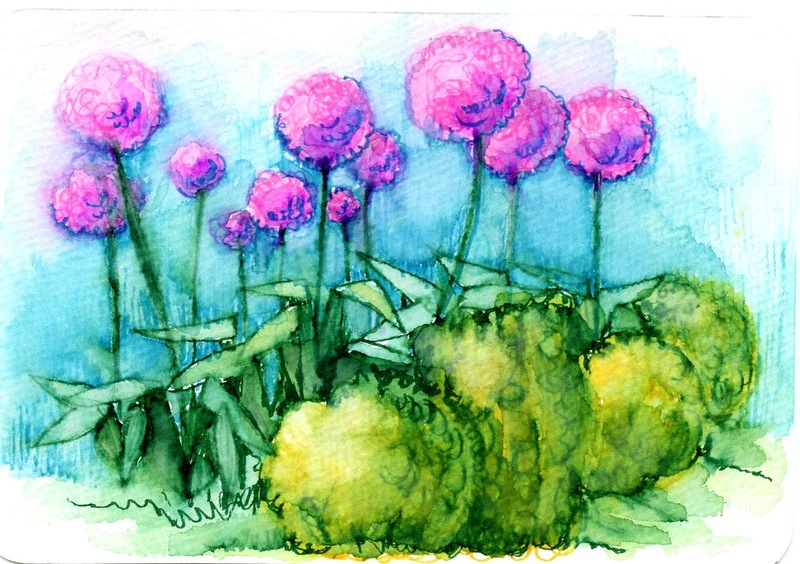 The Friday Fun & Easy Landscape Challenge Apr. 13 – Apr. 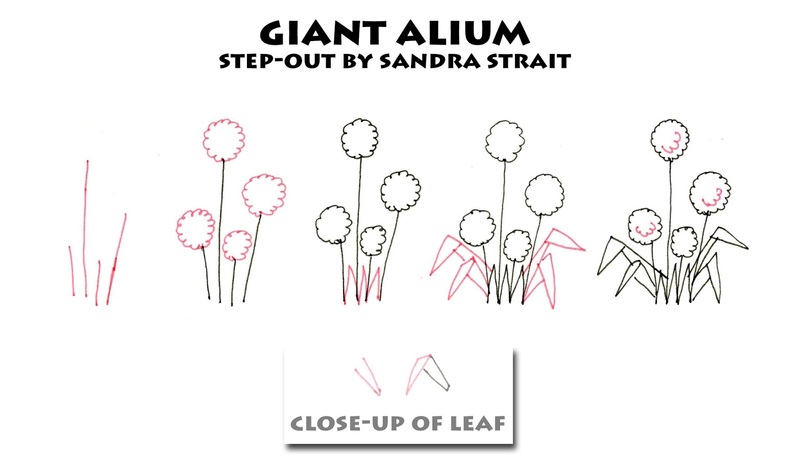 19: Draw a landscape using the Giant Allium step-out. Extra calorie-free brownie points for Basic Shapes in your drawing. 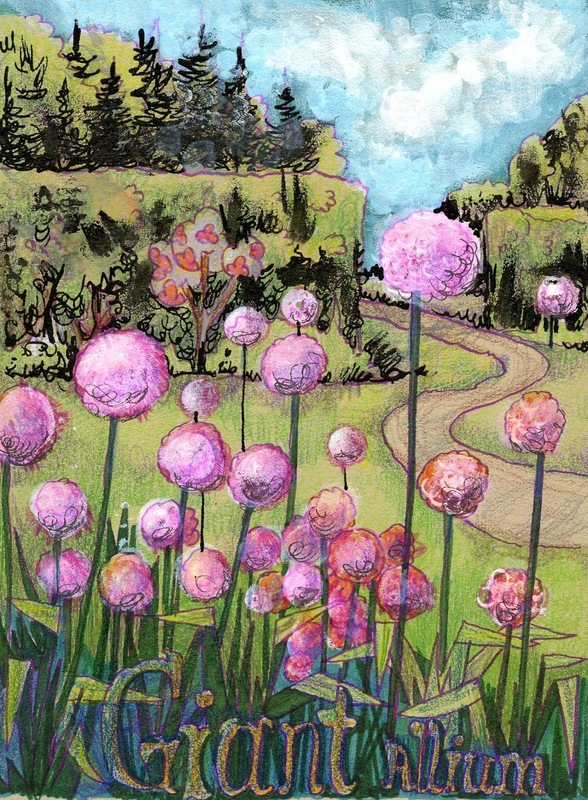 This example was done in a Stillman & Birn Beige-Tone sketchbook using Zebra Pen Funwari Color brush, Zensations colored pencil and Derwent White Graphik Line Painter. The line painters blobbed and dripped BIG TIME so I had to sort of smear the white and cover over much of the color brush. Then to add insult to injury, I couldn’t get any color – not color brush, fineliner, colored pencil or technical pen to work over the line painter. I ended up with extremely dark areas in the back ground because I used Sharpie markers – it will rub off eventually. Despite all that, I’m not unhappy with this, though it could have been better. I do NOT recommend the line painters, however. I was running out of time, but managed to do a 10 minute painting on a Hahnemühle Watercolor postcard to use for this challenge. I used Zebra Pen Color brushes, again and then blended the color with a waterbrush.